Apostille and Verification - Ballsbridge University , Quality Accredited Education, Promoting Lifelong Learning and research,MBA, PhD. DBA. ..
An Apostille is the simplified certification of public documents , for their international use in all nations that have joined the Apostille Section of the Hague Convention. Signatory countries have agreed under the Apostille Section of the Hague Convention to recognize public documents certified by an “Apostille”. This certification ensures that public documents are valid within the country where the document was originally issued or notarized. The main function of the Apostille is to certify the authenticity of the signature on the document . Almost every kind of document including: School Diploma and/or Transcripts, College/University degrees, Affidavits, can be authenticated. Ballsbridge University is a registered institution in Dominica and documents/degrees signed by the Ballsbridge University Governing Authority can be authenticated by the Dominica registrar. To apply for apostille Authentication send a scanned copy of your degree to the University with the Authentication fee. For potential International students wishing to Apply for the Degree validation certificate from the Board of Quality Standards or from California university should apply to the registrar of the university. 2.Verification of the Degree/diploma and specialization earned at the accredited university. 3.Verification of the total credits corresponding to the Accredited Qualification . 4. Verification of the credits composition in hours of study related to the Qualification. 5.Certification of the credits equivalency to the US Semester credits system. 6.Certification of the credits equivalency to the European ECTS credits system. 7.Assurance that the awarding institution is meeting the BQS education quality standards. 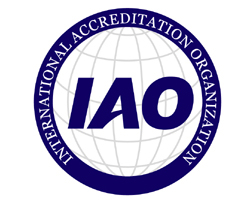 The validation is to facilitate the global acceptance of the degrees and credits by employers, professional associations, other institutions, colleges or universities around the globe. The university registrar maintain records of all Graduate of Ballsbridge university and the Independent Institutes with a Matriculation Number. All graduate from an approved BU programme who successfully passed their Exams are issued a transcript of studies from the university. To verify Graduate of Ballsbridge University, Institute of Chartered Professionals, Ballbridge Business School, International Institute of Research, Ballsbridge University College London, Ballsbridge Institute of Technology should provide the student matriculation number, student name and the date of graduation.